Are you looking to review or develop your marketing? Would you like support to achieve this? fiona melvin-farr consulting, is a marketing consultancy based in Edinburgh, Scotland. Listening to our clients, we work closely with them to develop successful marketing strategies and communication plans. Combining our experience, with your knowledge of the business, we can develop a marketing plan to help you meet your objectives. Not sure what you require, how about starting with a marketing audit? Take a look at how you are currently marketing and how this might be improved. At fiona melvin-farr consulting, we love to support our clients to implement their plan. Think of your marketing consultant as an extension of your team. Let us help you brief and manage the relationship with other agencies such as web or graphic designers. Not only do we develop and implement your marketing plans. We can deliver specific marketing projects, for example market research or social media marketing. Have a browse of what we can offer. 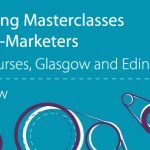 Just launched a new series of training courses Marketing Masterclasses for Non-Marketers. Explore some case studies to see how we have supported our clients to grow and develop. If you would like to discuss your business, please get in touch via telephone: 0131 556 1462 or email: fiona.melvin-farr@fmfc.co.uk.